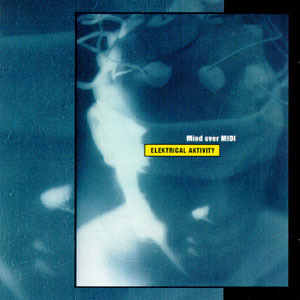 Mind over MIDI a.k.a. Helge Tømmervåg is from Kristiansund on the north-east coast of Norway, and he has been working with electronic music since the beginning of the 80's. First as a member of synth-pop band ToC, and later with his solo-project Mind over MIDI. He has previous released "Trancesurfer" on a CD with norwegian music mag Rock Furore no 8 '94, and "Mindworks" on the norwegian techno compilation XS II in '95. His early works was in the british experimental style, drawing inspiration from µ-ziq, Autechre and Aphex Twin. His first releases on Beatservice was a series of three vinyl EP's called "Elektrical Aktivity" 1-3. 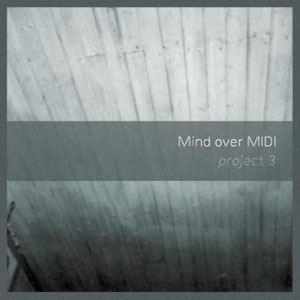 The series showcased both sides of Mind over MIDI, with a "dance" side with acid trance and hardtrance tracks, and a "listen" side with noise-rhythmic and melodic ambient tracks. The best from the EP's an new stuff was compiled to the Elektrical Aktivity CD. Helge Tømmervåg is now heavy influenced by the mimilal soundscapes of a.o. Hawtin/Plastikman and Mauritzio/Basic Channel, and his current output is mixing this minimalistic approach with an "arctic" ambience and feel. He calls this style "ICE Acoustik", also the title of his latest album release in the spring of 1998. On the cover of this release, Helge also appear as a comic hero, click on the cover and read the full story! 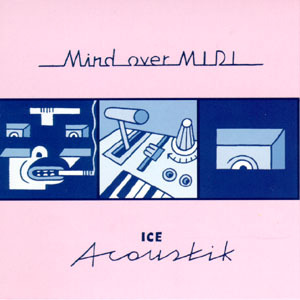 1999 and 2000 was a quiet period for Mind over MIDI, with only a contribution on the Arctic Circles 2 compilation and two 7" releases, Stay With Me (BSS025-1) and Mind over MIDI re-works (BSS035). In 2001 the Project 3 album was released. Stylewise it's an evolution of the trademark ICE Acoustic style. But this time, over half of the tracks feature vocals from Sidsel Endresen, Anneli Drecker (of Bel Canto), Oddman and Sten Bjercke (of Lorenzo). Others who are contributing is jazz musicians Bugge Wesseltoft (piano) and Nils Petter Molvær (trumpet). The Sidsel Endresen and Bugge Wesseltoft contribution is an ambient dub of Mind over MIDI's remix of the Bugge Wesseltoft track You Might Say. The Anneli Drecker track and one of the Lorenzo contributions also originates from remixes. You'll find sound samples here. Early 2002, a double LP version of Project 3 was released. The first LP contained tracks from the Project 3 CD, while the second LP contained tracks from a so far unreleased album Statement. He has been a long time fan of the dub-vocalist Tikiman from the Caribbeans (now living in Germany), specially his collaboration with the Berlin-minimalists Rhythm and Sound. When they met at the Fløyen-festival in Bergen in 2001, Tikiman joined Mind over MIDI on stage and jammed on a couple of tracks. Helge sent some tracks down to Tikiman, who picked two tracks that he added his familiar far-out dubby vocals to. The result is the two track 10" Champion / Revelation.